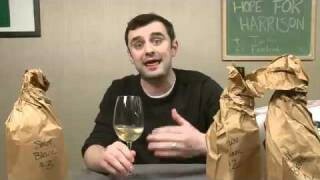 Wine Library TV | Episode #27 – White Burgundy taste off: The Wine Library 6pack tour. EP 27 Episode #27 – White Burgundy taste off: The Wine Library 6pack tour. 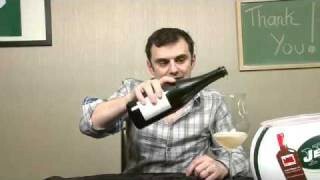 Watch as Gary Vaynerchuk tastes through a wonderful Meursault and compares it to a super Chardonnay from the Bourgogne. Wow, this is so different from the later episodes. Our man Gary is so sincere and deliberate (just check out the pouring technique…so precise). It’s interesting and fun to watch…shame about the sweater! 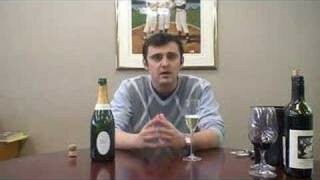 EP 97White Burgundy wine tasting and the Jets of course. gary, brilliant; that is all that should be said, but i am verbose….this makes me really want to get in on the next six-pack. i think it is great how you included two white burgundy selections…it really shows an adventurous nature on your part–not safe and well worth the risk if i may say so. 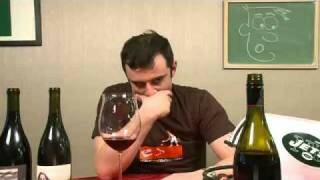 even if i do not have the wine i enjoy watching the episodes…i really like what you did with the blau….very cool. i recently opened a bottle with extreme tannin….well, i let it sit for a few hours and it blew me away…i have learned a lot, and thank you for keeping it ‘real’ and being so open with this experience….it is nice to feel welcome with a hobby (hope this doesn’t offend) such as wine…it can be very deep, but you don’t come off as pretentious, which is really nice…and i feel like you have let me into the world that is sometimes off-limits to most…especially those of us living in not so metropolitan areas. An amazing coincidence–a wine tasting group I attend tasted the Blau on Wednesday. 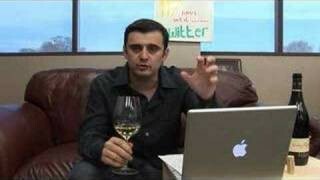 My notes are very similar to yours, though I did not have the wine develop a second day, only after time in the glass. I think Parker is a bit generous to this wine at 90pts but still nice. As you probably know, the pepper you tasted the second day is the Syrah in the mix. My experience after 30 years of wine tasting is that Syrah, more than any other variety, needs air to bloom. 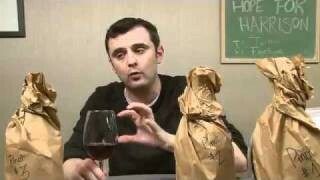 I always decant wines containing Syrah! Great episode. Lotâ? ?s of learning on the virtues of decanting. So, much of my wine drinking is at BYOB restaurants. 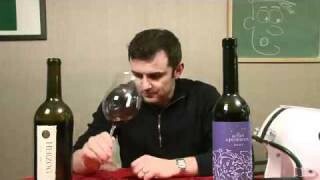 Do you recommend decanting a red for the afternoon and then re-bottling for a more enjoyable restaurant experience? Love the “What’d I tell Ya” look..classic Gary V! 4 comments……where was all the love in the old days??? 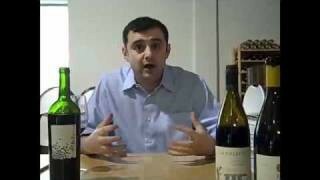 I need to do this with some White burgundies as it is an area where my knowledge base is very low. Thanks! GV- thanks for the comparison. This is (I believe) the first epispode where you rinse out your glass with the wine you are about to drink, and then proceed to dump it into the bucket. Right on!! Now here’s my question – have you ever tried pouring the contents of the spit bucket into a glass and sampling it? p.s. i did – it was terrible, but… always learning. If I was to find this same set of wines now, would you expect the experience to be drastically different? Even if they were the same vintages? this was a very fast paced episode – good to see a head to head comparison. Just checking out some of the old episodes I had forgotten about. I am going to open my Can Blau this week. Love the shirt. See if you can dig it out for an upcoming episode. great episode Gary. really liked 2 things. Great doing the 2 burgundies side by side. 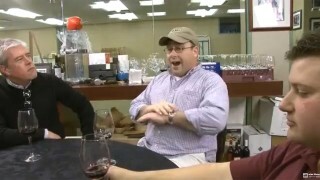 I think that’s when you really can tell the quality of a varietal, when you taste 2 of the same side by side. Whereas if you have a pinot blanc and a gewurtz side by side having never had either before, you just about learned nothing. Also nice to see you taste the monstant yesterday and try it again the next day to see how its evolved. Easily one of my favorite parts about wine, seeing its evolution. 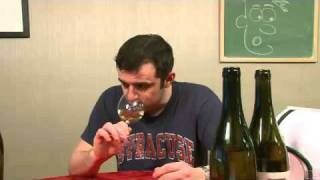 Would love to see an episode where you taste vin jaune’s and leave it open to see how it evolves. Then retaste it again a day later. Nice to see the double comparison, the red one day later and 2 white burgundies, wish I had that six pack now to do this whole adventure like some of you did. It’s great to see how wine changes over time sitting in the bottle, and comparing two wines the way you did. 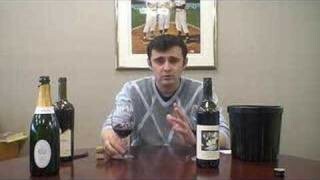 That is the best way to really understand how different similar wines can be, I think.